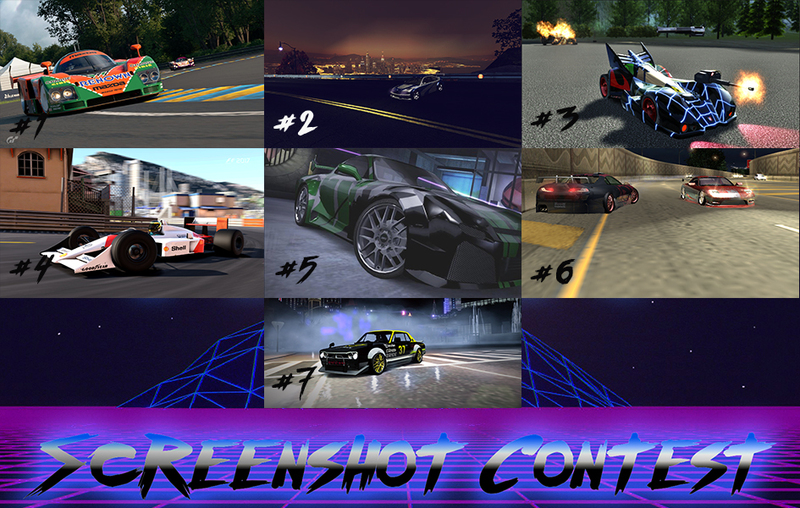 The first Screenshot contest voting is now closed. We have seen 4 entrants all with their interpretation of the theme "muscle". Through close voting between entry #1 and #2 for first place by the end date entry #2 got ahead and won. 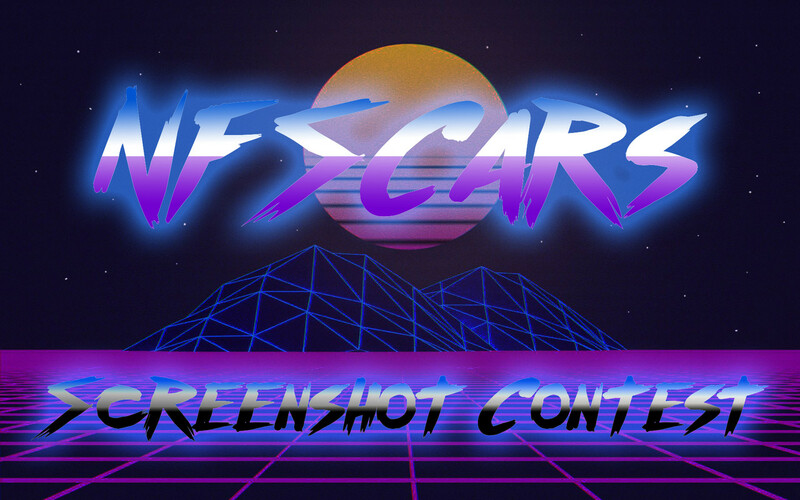 Send your entries privately to me, Greger on this site or on Discord via Personal Messages. 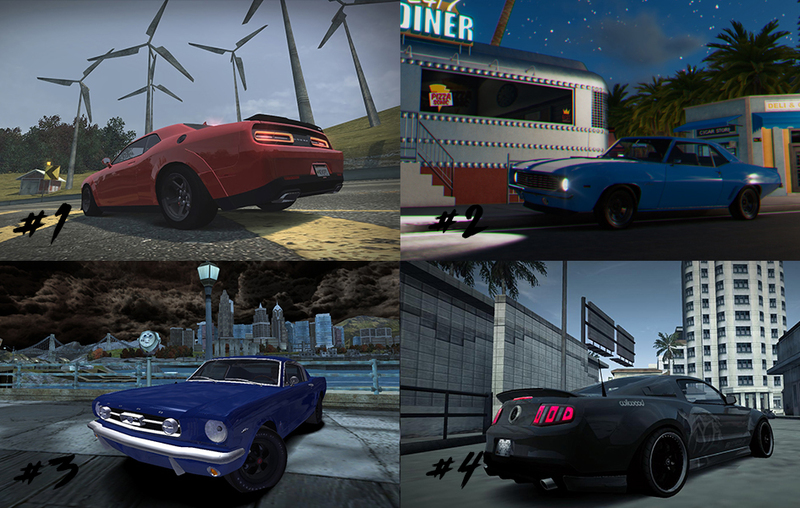 A bit later than expected but here is the post for you guys to vote on entrants who nailed the theme: MUSCLE CARS. As some of you may have noticed our forums are unavailable. That is due to many things. But first and foremost it was due to a high spam account wave creating literally thousands of posts and slowing servers down and our ability to moderate and control the forums. Due to us having little control over what was being done because of an exploit which was not thought of initially for this new site and forum, us the NFSCars staff decided to temporarily shut down the forums until the site owner creates a fix for these lingering issues. Be sure we are doing what we can to keep this site running and be a place where you can share your passion for this amazing game franchise we all grew to love and be a part of. So in some time the forums will be opened up again. When? We dont know for sure as all our staff has their own real life things and we can get busy but we are working on it. In the meanwhile you can still use the Shoutbox to discuss topics and thoughts you have and the showroom to share things (keep it ingame please) with the rest of the community and use the comments to interact. Apologies for the inconvenience and have a great day! 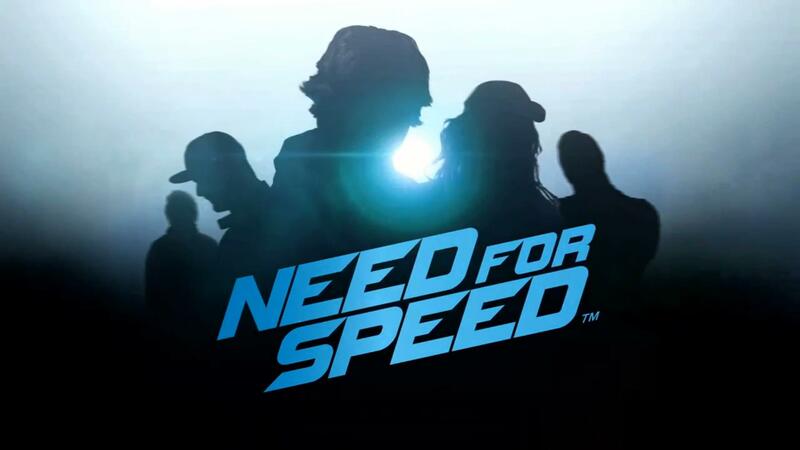 We all have dreamed of using cars we wished in NFS World. And even though NFS World has a fine list of cars there is always that one car some of us wants to be in it and play with it. Thats how the modding scene is still alive and kicking as there are almost infinite amount of cars to be made and used by a bunch of people. Now nfsu360 recently released a video where he drives around probably his favourite modding car the Citroen Vision Concept GT in NFS World. Lets hope the mod tool will soon be released and we can get modding away and make World our new passion alongside the most famous ones on the site (MW and Carbon). Which then could also lead to private servers with cars modded in. Just a whole bunch of possibilities which I personally am excited for. But enough chit chat. Have a look for yourself! All cars can reach level 399, Speedlist collision has been adjusted, quick races are yours to create, and more. 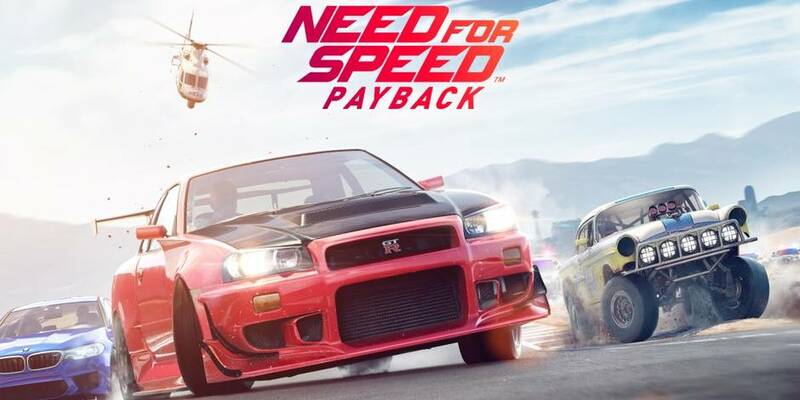 We're ready to show off our latest update, and this time we've fine-tuned Need for Speed Payback with tons of great suggestions from the community. A major boost for every car, Speedlist adjustments, customizable quick races, and other changes are headed your way! Check out everything coming on June 19, 2018 below. Beat your friends anytime, anywhere. Now you can create your own races in AllDrive and invite everyone in your Hangout session to join. Select a destination, send an invite to other players on the server, and be the first across the finish line. We tested out Eddie's Skyline last time, and now every ride can become a beautiful beast. With this patch, all cars can reach a max level of 399, up from 299. This is one of our most requested changes, and we can't wait to see the superb builds you create. 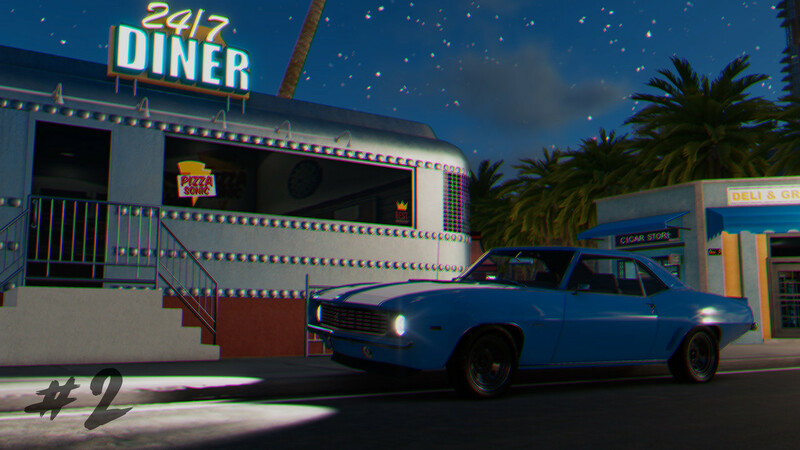 Try your luck in a gambler's paradise with this sleek ride. Its distinct Italian design sends a message when it rolls up to the starting line: you can't beat class. This off-roader is ready to tear up the streets and the sands of Fortune Valley. With a beefed up engine, you'll leave the competition in a cloud of dust! A ride this burly leaves an impression on and off-road. Those looks aren't just for show—it looks and drives like a beast. We've seen all the creative ways you try to communicate in AllDrive and thought we'd make your options a little prettier. Now you can tell everyone how you really feel with the brand-new Chat Wheel. Select an emote and it will appear above your car for other racers to see, or as an indicator on a friend’s screen if they’re not looking at your ride. Nothing ruins a good Speedlist run like crashing at the starting line. Now, collision detection will be suspended for the first 10 seconds of Speedlist races, so you can break away from the pack before the carnage starts. Show everyone you’re the boss when you collect the cars of every street league leader, plus some iconic Need for Speed rides. Based on your feedback we'll be dropping one car per week into the deserted parts of Fortune Valley, so keep your eyes peeled! Want an even more immersive experience without all the maps and stats in your face? Toggle all UI on and off whenever you like. You can practically feel the digital wind in your hair. Make your friends feel the heat with four different cop car vanity horns. It pairs perfectly with . . .
We're introducing a huge variety of multicolor Underglow with different rarity levels – become a physical and visual hazard on the roadway, and look good doing it. Combine the sirens and red-and-blue Underglow, then launch into a high speed chase. All these features are racing your way on June 19, 2018. Which are you most excited for? Let us know on Facebook, Twitter, and Instagram, and we'll see you at the starting line. Tell us in the comment section how you feel about this upcoming update !